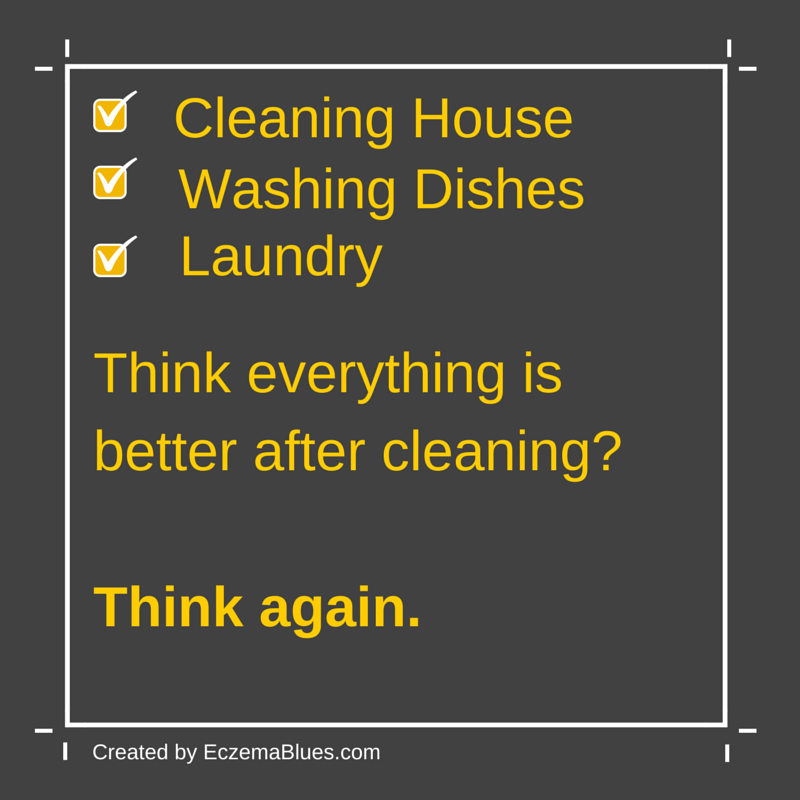 Kicking off 2015 with eczema research news update – The year often starts with some ‘spring cleaning’, so this study published in November 2014 is timely for those of us who are taking out the household cleaning chemicals – will it increase the likelihood of allergy and eczema in your child? Here’s a summary of the study, full study available for free here. Study objective: Investigate antimicrobial household product exposure and allergic symptoms in Korean children > 25,805 questionnaires completed. The age of the children were mostly from 3-8 years old, with about 15% at 0-2 year old. Study method: An antimicrobial exposure (AE) score was derived and used to measure associations with allergic symptoms. They are products that contain antimicrobial agents that kill microorganisms or inhibit the organisms’ growth. Typical ingredient is triclosan and triclocarban. Antimicrobial products used in household are toothpaste, soap, hand sanitizer, dishwashing detergent, fungicide, laundry detergent, deodorant, aerosol cleaners, wet wipe and pesticide. Toothpaste, soap, hand sanitizer, dishwashing detergent and wet wipe were the most widely and frequently used. 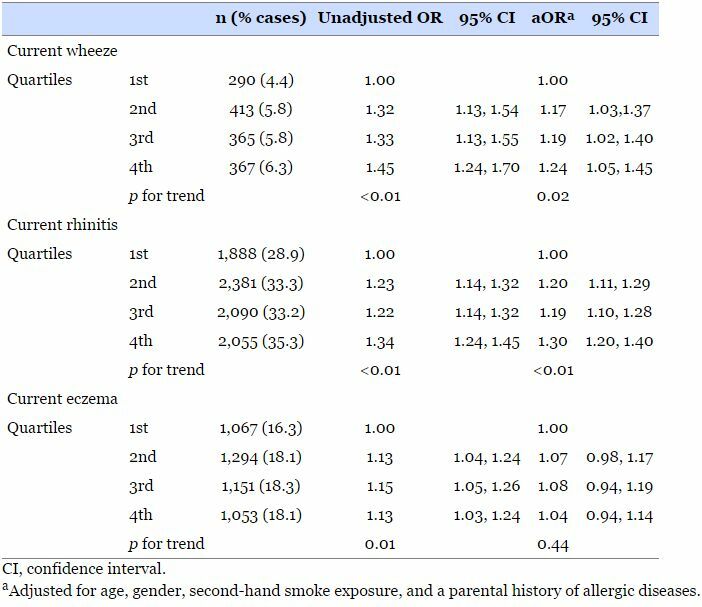 Conclusion: Subjects with a high AE score (fourth quartile) were more likely to have symptoms of wheezing and allergic rhinitis (but not eczema). Use of antimicrobial products related to wheezing and rhinitis. Table taken from study, Nov 2014 Association between exposure to antimicrobial household products and allergic symptoms. My take: I’m not very obsessed with eliminating all chemicals used at home but instead, I almost never use detergent on cleaning floor and my laundry cycle is 2 hours (more here). Floors cleaned using water, or with soap, is reported to be as clean as if using antimicrobial product. hi….look out for these products from Australia…they have Hand Sanitiser as well as Surface Sanitiser ….called GFS Bioprotect…goto http://www.gfsbioprotect.com ….there is a SG coy here that is their distributor for this region…. ….heard recently that their surface sanitiser is hospital grade, non-toxic and non-chemical…also scent free especially for children and adult with sensitive nose…..safe for human and environment too…. leave a very good fresh smell…acts as an invisible protective barrier against germs, viruses and bacterias..